Located on the Islands of the Central Pacific Ocean, the continent of Oceania comprises of the world's top destinations for International and Domestic tourism. The major countries of the continent include Australia, New Zealand, and Fiji. 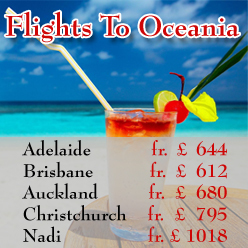 With a wide range of beautiful itineraries, the continent of Oceania is the best place for your vacations. The Art and Architecture of the continent is worth witnessing as the overall decorations, pottery, sculptures, basketry, painting, rock art, and masks are quite unique and provide the visitors with a goodartistic experience. Elaborated carvings are often seen in the houses and stores of the native people. Moreover, the music and dance of the continent is famous for its blend of audible and visual extension of the traditional poetry. The indigenous people have been engaged in an over whelming display of the society's rituals through the medium of dance and music. Furthermore, the literature produced by the people of the continent has an exclusive design. The Literature is known for the amazing and thought provoking creativity as the people of the continent consider creativity to be amongst the super natural forces present in the world. This is the prime reason for the excellence achieved by the people of the continent in literature and writing. The countries of Oceania have always been popular for the achievement in different sporting events. Oceania has been host to some of the major sporting events of the world including Cricket World Cups, Commonwealth Games, and Rugby Leagues. 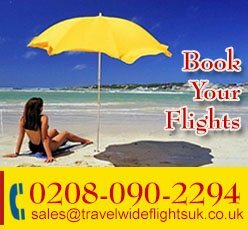 TravelWideFlights are providing the people of the United Kingdom with Cheap Flight tickets to Oceania. Our team is specialized in bookings and reservations with some of the most popular Airlines of the world including Qatar Airway, British Airways, Etihad Airways, and Emirates Airline. We can also provide the clients with accommodations in the most luxurious hotels and resorts in the continent. 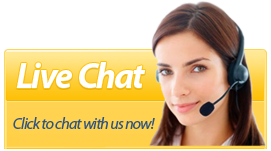 Contact us for further queries.